Breaking Drifter Discoveries Raise More Questions Than They Answer! While the Amarr Championships continue forward unabated, the Drifters are mobilizing for their renewed attack on the Throne Worlds. While pioneering Empyreans discover the methods to fight this threat, secrets as to the very nature of the Drifter forces are likewise being exposed. However, as more is discovered about our shadowy rivals, it is only becoming clearer how little we truly know. So let’s catch up a little bit. Roughly one year ago a solar system in Jove space had something happen to it, leading to an explosion so massive it seemed to undermine the standard laws of physics. After this event, Circadian Seekers, and later Drifter battleships, began appearing throughout New Eden. While they seemed interested in everything they could get their scanners on, they appeared to be mostly concerned with the new Jovian Observatories that were decloaking throughout the cluster. Since then, the Drifters themselves have proven to be a notable threat, culminating in the death of the Empress Jamyl Saurum. While little was known about this new threat, some hints started to appear. An autopsy was made determining that Drifter physiology is similar to Jovian. We also received reports from long thought lost scientist Hilen Tukoss, that was later discovered to actually pre-date the Caroline Star event. At roughly the same time as the release of those broadcasts, explorers successfully navigated the Drifter Wormholes only to discover massive structures, called Hives, seemingly harvesting Sleeper bodies from the Conclaves they rest in. However, in the last week, it has been found that these very Hive complexes hold secrets that were previously undiscovered. Within the deadspace pockets a new site has been found. Although this site has no beacon, and no way to probe down, diligent explorers have discovered massive structures hundreds of kilometers across. This structure has been nicknamed the “Space Urchin”. 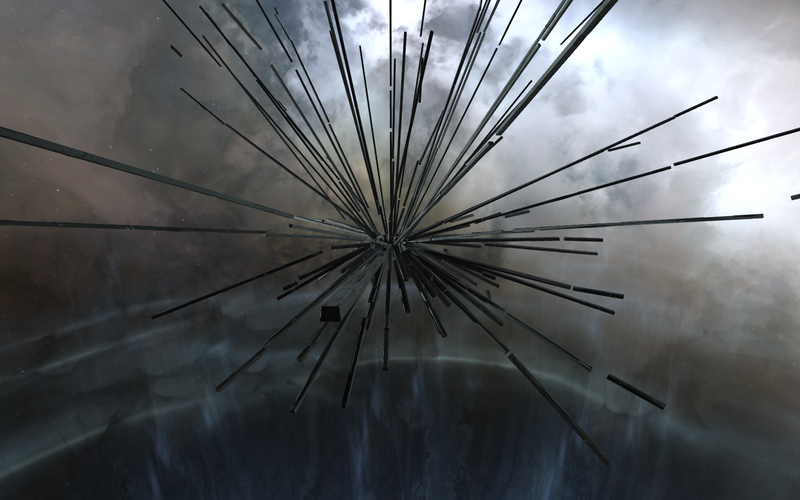 Interestingly enough, while CCP acknowledged the discovery in the latest Scope video ticker, the actual structure itself seems to have been broken apart to form a serpentine wreckage as of the content patch released on November 10th. An acceleration gate leading to the structure was also added at this time. At this point we must leave Tranquility behind, put on our tinfoil, and get ready for some data mining. You have been warned. Everything past this point is pure speculation and could potentially be a massive troll by CCP. OK still here? Lets get to it. In the data files, files known as “Jove Stargates” have been discovered. They appear to exist in four “stages” (much like how the Jove Observatories have multiple stages for their destruction over time). Each stage seems more aligned than the last, with the final one forming a tube-like stargate. However, even this is only level one of this rabbit hole. Stage two comes upon Uriel Paradisi Anteovnuecci’s discovery of sound files within the Singularity client. While some of these are pretty standard, such as the Drifter Superweapon sound effect, others raise gigantic questions. One oddity is the mention of “Drifter Gate Blast” which may or may not be related to the spike ball structures discovered. The most interesting of these however, are five files labeled “Drifter Voice”, which is odd given that, as we know from the autopsy, Drifters have no vocal chords. The sound itself is distorted and similar to the chatter you hear when near gates and in anomalies in New Eden, sounding like picked up transmissions. It was soon noted however, that the sounds themselves sound reversed, and this is where things get really interesting. After reversing the audio, and doing some basic cleanup, we come up with this. While the debate over what is actually being said is fierce, the fact that the audio contains english words is unmistakeable. As I said, arguments over their meaning, and how these may be attached to the Drifter threat, and other audio files found is still unknown. None of these voice files are known to be triggered within game, so guesses as to their cause run the gamut of wild speculation. One theory suggests that these are the voices of the Amarr fighting the Drifters, this theory is reinforced by the fact that it sounds like people discussing the best way to move forward, Voice 4 sounds like someone giving the order to “Assault the Hive”. Additionally, some, myself included, suggest that Voice 1 is discussing either an elimination process, or a navigation process. However, conflicting theories hold a lot of merit as well. We have suspected for a long time that Tukoss is not as dead as previously imagined, but that his infomorph was in fact “captured” by the Drifters for reasons unknown. Voice 2 may be talking about “transferring” as in finding a location for the transference of consciousness. One of the clearest audio we have so far is Voice 3 which sounds like they are saying “(we?) should concentrate on (tuco/tukov/tukoss? ), he’s/he is a key part/component of their spiritual practice”. However, like the rest of this mystery, speculation is far more common than answers. As we move forward to defend our space against this new emergent threat, we must remember that understanding our enemy is part of conquering it. New Eden is fiercely guarding its secrets, but with the diligence of all those willing to hunt, we may yet discover the truth. Alternatively, the tinfoil is seeping into our brains. 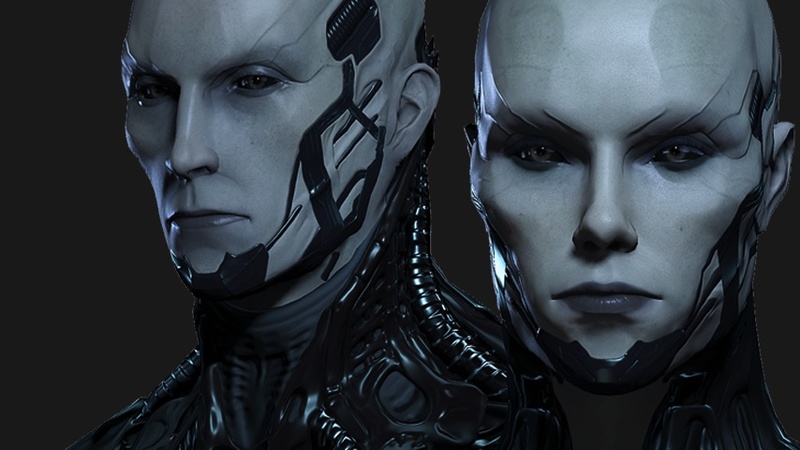 Full credit to Uriel Paradisi Anteovnuecci, Viriel, Luobote Kong, Makoto Priano, Darkezero, the other brave explorers delving into the Drifter Wormholes, and all those members of the #lore channel on Tweetfleet Slack. Your diligence is inspiring.